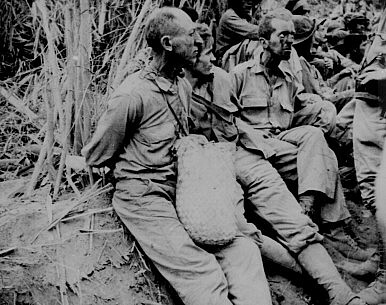 U.S. POWs during the "Bataan Death March" (1942). Mitsubishi formally apologizes to U.S. POWs forced to work for the company during World War II. In an unusual ceremony on Sunday, American prisoners of war (POWs) received an apology for their treatment during World War II – not from the Japanese government, but from Mitsubishi, a Japanese firm that used POWs for forced labor during the war. As the Associated Press reported, a senior executive from Mitsubishi apologized to POWs and their families, including to 94-year-old veteran James Murphy, the only actual victim of Mitsubishi’s forced labor who was able to make the trip. The ceremony took place on Sunday at the Simon Wiesenthal Center in Los Angeles. Senior Mitsubishi executive Hikaru Kimura apologized in person to Murphy and, by extension, to all the American POWs forced to work for Japanese firms during the war. “Being one of the few surviving workers of that time, I find it to be my duty and responsibility to accept Mr. Kimura’s apology,” Murphy said in a statement. “Today we apologize remorsefully for the tragic events in our past,” Kimura said in the ceremony. The apology was “the first time a major Japanese company has ever made such a gesture,” Rabbi Abraham Cooper, associate dean at the Simon Wiesenthal Center, told AP. “We hope this will spur other companies to join in and do the same.” The Japanese government has issued apologies, but this is the first time one of the corporations involved has done so. Kinue Tokudome, director of the U.S.-Japan Dialogue on POWs, estimated to AP that 12,000 American POWs were forced to labor in Japan at mining sites and industrial plants. Around 10 percent of them died, Tokudome said. Speaking with AP, Murphy described the “complete horror” of his ordeal: “It was slavery in every way: no food, no medicine, no clothing, no sanitation.” Murphy called the apology a “big deal” and also expressed his hope that other companies would follow Mitsubishi in offering formal apologies. The issue of forced labor at Japanese corporations gained the spotlight earlier this year as Japan pursued UNESCO World Heritage status for 23 industrial, mining, and shipbuilding sites. Japan described the sites as important reminders of its Meiji Industrial Revolution. The site “bears testimony to the rapid industrialization of the country from the middle of the 19th century to the early 20th century,” according to the official UNESCO description. Detractors, however, pointed to the dark history of forced labor used at those same locations. China, Vietnam, and South Korea all voiced their opposition to the bid. “The world heritage application should live up to the principle of ‘building peace in the minds of men and women’ … The colonial history must not be glorified,” Chinese Foreign Ministry spokesperson Hua Chunying said when asked about the UNESCO bid. South Korean media noted that between 1910 and 1945, nearly 58,000 Koreans were forced to work at seven of the sites listed in the UNESCO bid. Korea’s foreign minister, Yun Byung-se promised to oppose the bid. Seoul’s opposition lead to negotiations with Tokyo on how to find a way forward, with South Korea demanding that Japan clearly acknowledge the forced labor issue. To get past the objections, Japan agreed in a statement to UNESCO “to take measures that allow an understanding that there were a large number of Koreans and others who were brought against their will and forced to work under harsh conditions in the 1940s at some of the site.” Japan added that it would “incorporate measures into the interpretive strategy to remember the victims such as the establishment of [an] information center.” The listing was approved by as a UNESCO world heritage site in July 2015. 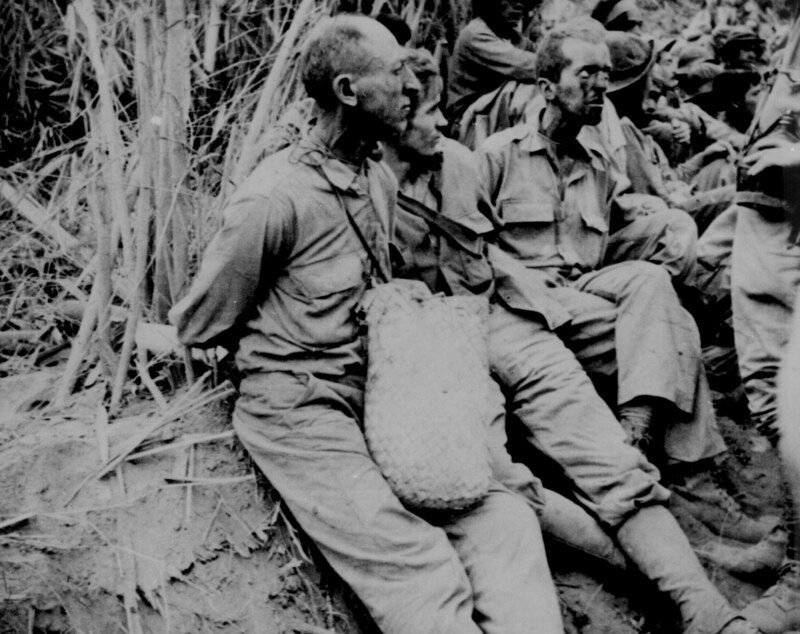 Imperial Japan made extensive use of forced labor, not only American and other POWs, but also Chinese and Koreans. However, the Japanese government and corporations are dealing with wartime forced labor issue differently between its U.S. ally and Asian neighbors … it remains to be seen when [Mitsubishi] will extend its contrition to Chinese and South Korean victims. Groups of both Chinese and Korean victims and their families have filed separate lawsuits seeking compensation for their ordeals at Japanese factories and mines during the war. Mitsubishi in particular is named as a defendant in separates suits in China and South Korea. In a recent judgment, an appeals court in South Korea upheld a ruling that Mitsubishi must pay over $500,00 in damages to four victims of forced labor, and the family of a fifth victim (now deceased).